Acting National Capital Regional Director Lisa Mendelson-Ielmini, Senator Chris Van Hollen, Montgomery County Executive Ike Leggett, Glen Echo Mayor Willem Polak and representatives from the Glen Echo Park Partnership for Arts and Culture celebrate the signing of a new 10-year agreement for Glen Echo Park. Glen Echo Park, famous for its carousel, Spanish ballroom, arts programs and Civil Rights history, will be managed cooperatively by the National Park Service (NPS) and Montgomery County for the next 10 years. This successful local-federal partnership benefits the community and protects nationally significant history. Senator Chris Van Hollen, Glen Echo Mayor Willem Polak, and representatives from the Glen Echo Park Partnership for Arts and Culture gathered in the park today when the NPS and the county signed a cooperative agreement that meets all contemporary laws and policies and ensures that visitors will continue to enjoy the Glen Echo Park they have known and loved for generations. Since 2002, the County, with the Glen Echo Park Partnership for Arts and Culture, has demonstrated its commitment to high-quality visitor experiences and preserving the park’s historic character. 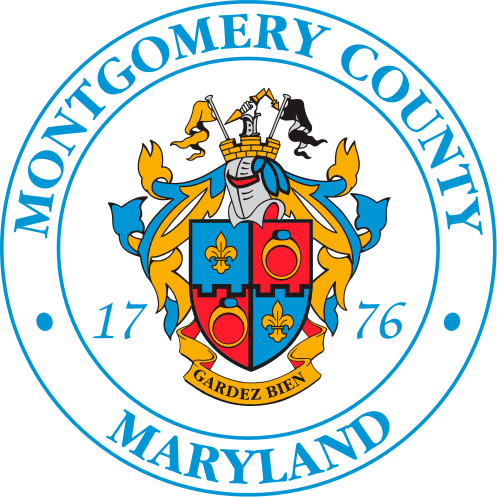 Under the new agreement, Montgomery County will be responsible for operation, maintenance and day-to-day management of the park. The County will continue to work with the Glen Echo Park Partnership for Arts and Culture to provide public art programs, studio exhibits, performances and social dances, which have been a tradition in Glen Echo Park for more than 120 years. Glen Echo Park has delighted its neighbors and visitors over the years. From its origin as a summer resort and education facility, to its time as DC’s premier amusement park, and from its turbulent Civil Rights history to the unique arts and cultural center it is today. 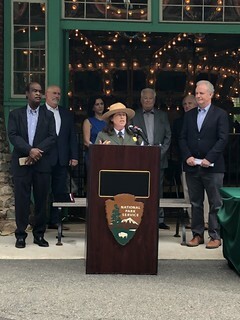 “I am excited for the local community because Glen Echo Park is a unique jewel that will continue to be a cherished educational and cultural asset in Montgomery County thanks to this continuing partnership with the National Park Service,” said Senator Cardin, a senior member of the Senate Environment and Public Works Committee. The park provides fun and educational opportunities for all ages throughout the year. For more information and a schedule of events in the park visit Glen Echo Park's website.